ADOPTION PRICE: 1200 GBP (350+850 payed before shipping). -1527 USD with shipping, but buyer gets health guarantee (without breeding rights) as agreed. Vidor is sold as a pet, so without breeding rights and without pedigree. Seller guarantees that the above-described dog is a purebred that will be issued with a copy of an official export pedigree. If buyer wants registration papers for their pet it is their option to do so and their responsibility solely to obtain, as we are not related to any third party registries. Seller does not provide registration papers to any registry only export pedigrees. Seller is not responsible for any decisions or actions made by any third party registry in transferring the registration of your puppy. The adopter agrees and binds him/herself to take good and responsible care of the dog, feed, house the dog properly, control the dog on lead when off premises and to house and control the dog properly to avoid loss by theft, running away, or otherwise, and to properly give or secure the best attention to the physical welfare of the dog. If adopter fails to do so seller has the right to reclaim said dog at the adopters expense. The adopter has the financial resources to pay for proper veterinary care for the dog adopted through the seller. Purchaser must follow all Veterinarian guidelines for vaccination and worming schedules. Prior to dispatching the puppy concerned a Pet Passport issued by a licensed veterinarian certifying that the animal is good health and is physically fit for shipping. The adopter understands that the delivery date may be changed at any time if the dog needs additional veterinary care before it can be shipped. Seller is not liable for delays due to weather or other complications when shipping. I the buyer understand that responsible ownership begins with taking your puppies welfare into first priority. This starts with us determining the proper the age, circumstances and time the new puppy is shipped safely to his new home. Not all puppies develop at the same rate and some may take longer than others for this process. Seller will grant all its dogs with full breeding rights unless otherwise specified. If the dog is unable to breed or be bred for ANY reason, seller is not responsible or liable in any way, as we do not place dogs for the sole purpose of breeding. The adopter agrees that they will have the dog examined by a licensed veterinarian within 2 business days of receiving it. If the dog is found to have any illness, hereditary or congenital defect covered in this contract it is the responsibility of the adopter to notify seller within 2 business days of exam, along with a required document from the veterinarian stating the condition, set forth in separate cover to the seller. This must be done within 48 hours from the appt. Once your puppy receives a clean bill of health please email the seller (puppyguru@gmail.com). The failure of this will result in the cancellation of this guarantee! If the adopter decides to cancel their transaction before the arrival of said puppy but after the adoption and payment is made all monies will be forfeited or used as a full credit for another puppy within 6 months from the original adoption date. It is understood that NO REFUNDS in part or in full will be given for personal conflicts/ or change of heart. The money can be used as a credit towards another puppy within 6 months from the date of the original adoption. If the dog above is examined by a licensed Veterinarian within the first 120 days of age of and found to have an untreatable, life threatening, genetic or congenital defect that would render the pet to be crippled or be due cause for euthanasia, or cause death the buyer has the option of returning the dog at adopters expense for a 100% credit toward another puppy from the seller. If a puppy dies from a genetic or hereditary defect, a necropsy and full report will be needed and sent to the seller. There are NO REFUNDS in part or in full only replacements puppies will be given. The following items are a few examples of conditions not covered in the untreatable, life threatening congenital and hereditary health guarantee: mange, cherry eye, entropian, “loose” hips, skin allergies, coccidia, internal parasites, bacterial or viral illnesses, reducible umbilical hernias, general allergies or cilia disorders. In addition any puppy adopted for a fee less than $1,500 not including shipping, will be adopted as-is with no health guarantee, or export pedigree. All puppies given replacement under this guarantee will not be accompanied by an export pedigree. If the export pedigree has been sent all papers will need to be returned and signed over to seller. If the dog above is examined by a licensed Veterinarian after 120 days of age to 365 days of age and found to have an untreatable, life threatening, genetic or congenital defect that would render the pet to be crippled or be due cause for euthanasia, or a direct cause of death then seller will give a 50% discount off a replacement puppy of their choice, not to exceed the purchase price of their original puppy. The dog named above will have a warranty for officially declared and veterinarian documented, hereditary or congenital defects directly causing death from the age 366 days to age 730 days old and will be due cause for the purchaser to have a 20% discount for a replacement puppy of their choice, not to exceed the purchase price of their original puppy. All full necropsy report will be required in all cases. All puppies given replacement under this guarantee will not be accompanied by an export pedigree. If the export pedigree has been sent all papers will need to be returned and signed over to seller for your discount or replacement. Females are not guaranteed past the timeframe of any confirmed pregnancy under any circumstance! Adopter guarantees that this is not an impulse decision. Thought has been given into this adoption regarding schedules, needs of the dog, and needs of the family, and financial obligations. The adopter has carefully researched the extensive health problems that may arise with the breed and understands that dog ownership is a responsibility and may require medical expenses for maintenance and health conditions in the future. It is understood that THIS EXNTENDED HEALTH GUARANTEE IS NULL AND VOID AND WILL NOT BE HONORED BY SELLER IF THE ABOVEMENTIONED DOG IS USED FOR BREEDING BEFORE A CLAIM IS MADE ON THE GUARANTEE. If the above-described dog produces a litter or is used for stud before 365 days from birth then the replacement terms no longer apply and are null and void. Females are not guaranteed past the time of any confirmed pregnancy under any circumstance! 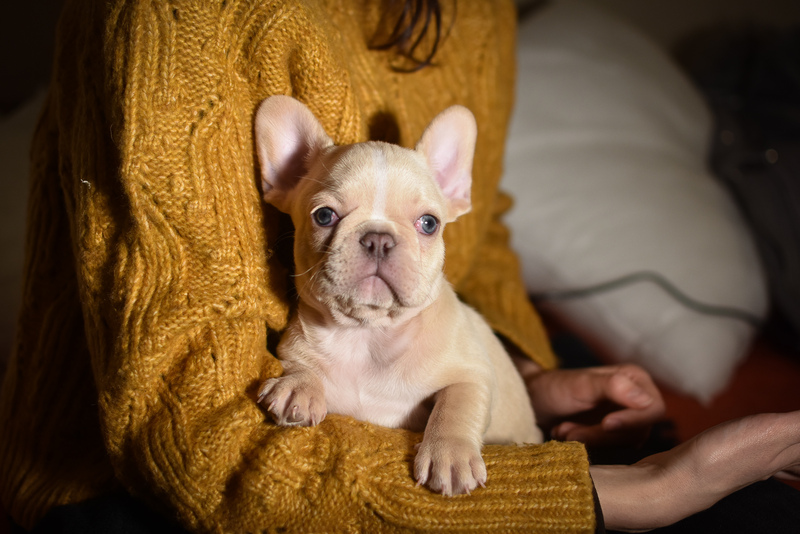 Seller guarantees that all adopters will receive a copy of an official export pedigree on adopted pups within 12 months from the date of purchase. In majority of cases the export pedigree will not arrive with your puppy at the time of pick up. Adopter agrees to read this paragraph TWICE before signing to avoid confusion and unneeded stress or worry at the time their puppy arrives. The reason for the delay in the export pedigree can be due to the registry the puppy is registered with, mail, work backload and the fact that export pedigrees are not given on puppies that have been replaced under the 12-month health guarantee. Seller is not responsible for any Veterinarian care authorized by the adopter or any of its family members for the above-mentioned dog after it has arrived at its new home. All Veterinarian charges incurred after shipping of the puppy to its new home are the adopter’s responsibility solely unless approved in advance by seller. Adopter understands that the total adoption price includes shipping. Transportation is arranged through third party carriers and frequently there are delays for numerous reasons including but not limited to weather, logistics, mechanical failure or other unforeseen events. Thus, seller shall not be responsible or liable directly or indirectly for any delays that may cause you inconvenience or financial loss. The Parties will seek resolution of disputes outside the courtroom. The exclusive Competent Court for each and any dispute or controversy that may arise from the present contract shall be that of Bács-Kiskun County, Hungary and the present contract shall be held valid by the Hungarian law. I have read this contract, understand fully the contents thereof, agree to its terms and conditions and acknowledge receipt of the same. This Agreement represents the total agreement between seller and the buyer, there are no other conditions, guarantees, or warranties, either expressed or implied, unless written above. I am not relying on verbal statements not contained herein. This contract is a legally binding agreement by all parties involved in this transaction. No cash or credit card refunds in part or in full under any circumstance. A store credit, valid for 180 days, shall be issued upon the limitations stated herein.